Challenger League Motorcycle Run commences Sat. Ethan Cooper gets ready to swing at a pitch. Playing for the love of the game is arguably, other than learning life skills through sport, the most valuable part of participating in a sport in general. For the members of the District 11 Challenger Baseball League, their love of the game is such that it exceeds the vast majority of individuals. There is no score kept. And everybody gets a chance to bat. It’s truly one of the more special atmospheres one can hope to be a part of, regardless of the level of sport that one has ever seen or participated in. However, for the youngsters that participate in the Challenger League, no day, other than the trip to the Little League Challenger Division Jamboree in late July in Mason, Ohio, is as anticipated as the day when District 11 hosts its own motorcycle run, which will occur on Saturday after inclement weather forced the postponement of the event last weekend. For Mike Bell, who is the Vice President of the District 11 Challenger Baseball League, the highly anticipated event is one that has not only become a favorite of the kids or the parents who help make the event what it is, but the motorcyclists who have become a central part of the tradition of the event. The District 11 Challenger League, which was established in 2006 with the help of — you guessed it — the late Gene Bennett among others, allows boys and girls facing physical and mental challenges the opportunity to enjoy the full benefits of Little League in an environment structured to their abilities. As mentioned, no outs or runs are counted, and everybody plays, fields, and scores in the contests that the Challenger League puts on. In addition to those pluses, the most important aspect is the fact that there’s no jeering or taunting — only a welcoming atmosphere that encourages development and growth. And not only do the competitors have a blast participating, the motorcyclists — who start their run at Millbrook Park in New Boston before making the trek up U.S. 52 in Wheelersburg — have fun socializing with their younger counterparts. In fact, one could argue that the motorcyclists and their machines take on a mystical, superhero-esque feel when they enter Gene Bennett Park and ride into the outfield of the grass where the Challenger League holds all of its District 11 affairs. What could be better than all of that, you ask? The fact that the Challenger League continues to grow in participation numbers. 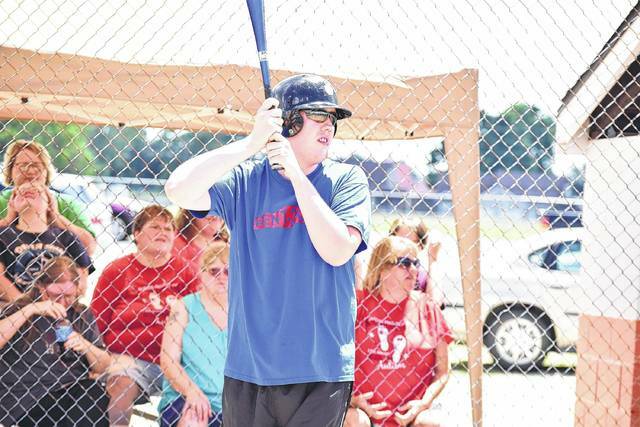 Over this past season, Bell, along with Michele King — who is the District 11 Challenger League President — helped formulate the Senior League, which is for competitors from the ages of 15 on up. The skills of the players in the eldest league are such that Bell says a pitching machine has been used, which is a welcoming sight to see. As part of the festivities, the three individuals who sell the most tickets get to throw a pie in the face of their favorite coach. Of course, as last year proved, there’s always the chance that a motorcyclist could join the pie-in-the-face fun, as well. All of the money made from concessions during the run goes to the District 11 Challenger League and will be used to fund the district’s trip to Mason, which will run from July 27 to July 29. If one wishes to make an additional monetary donation to support the journey to Mason, a person can made the donation to the District 11 Challenger League directly by mailing check or cash to PO Box 888, Portsmouth, Ohio 45662. For more information, visit the District 11 Challenger League’s Facebook page, which is titled District 11 Challenger League.